Sergio M. González, a Marquette University professor of history and language who earned his Ph.D. at the University of Wisconsin-Madison, has conducted detailed research into the history of Mexican-Americans in Wisconsin, with an eye toward how this immigrant group has confronted labor abuses and racialized politics. González wrote the 2017 book Mexicans in Wisconsin, which explores specific periods and political and cultural facets of Wisconsin's Mexican-American communities, from the arrival of "Los Primeros" in the 1920s to a broad wave of undocumented immigrants in the 1970s and '80s. In an Oct. 17, 2017 talk at the Wisconsin Historical Museum in Madison, González discussed a period running from the outbreak of World War II to the late 1960s that shaped the role of Wisconsin's migrant workers and year-round Latin American residents in profound ways. The war ratcheted up pressure on Wisconsin agriculture to produce more food, and many of the migrant workers who stepped in found themselves facing abusive employers and substandard living conditions. González began his talk, recorded for Wisconsin Public Television's "University Place," with a story about a group of migrant-worker families who tried to go to a county-operated swimming pool in Waupun in 1949. A custodian at the pool, Seymour Patrick, barred the families, complaining that migrant workers didn't speak English and saying that white parents didn't want their children to play with Mexicans or Tejanos. The Fond du Lac County government and the League of Women Voters of Waupun pushed back, starting a local movement to address racial divides within the community. The 1942 Mexican Farm Labor Agreement, also known as the Bracero program, brought hundreds of thousands of Mexican workers into the U.S., mostly California and southwestern states. About 4,800 of these guest workers came to Wisconsin during World War II. This program was supposed to guarantee workers transportation, food and the local minimum wage, as well as housing, health care and sanitation. However, these workers faced transportation delays on their way to Wisconsin, and ended up living in boxcars and receiving poor medical care. Some of these doctors would misdiagnose the workers -- telling them, for instance, that bronchitis was just a bad cold -- in order to keep them working. The Mexican government investigated these working conditions and the social circumstances Mexican nationals and Mexican-Americans faced in Wisconsin, and even temporarily blocked access to the state using the program when it found problems. 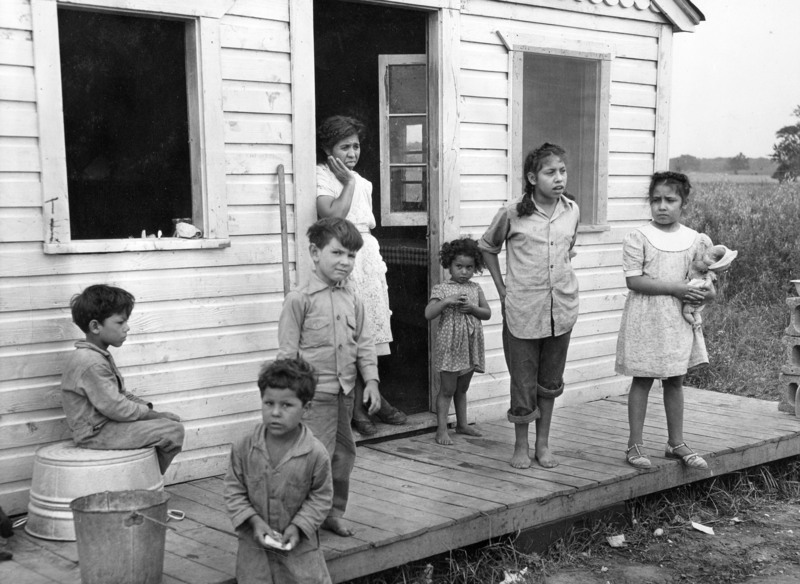 State commissions throughout the 1940s and '50s, including the Governor's Commission on Human Rights in Wisconsin, tried to address rising tensions between Tejanos and white people in the state through education and research on the conditions migrant workers experienced. However, these bodies had no power to enforce civil-rights laws. The commission's 1950 report "Migratory Agricultural Workers in Wisconsin: A Problem in Human Rights" detailed the work conditions and labor abuses employers inflicted upon migrant workers, and discussed these workers' difficulties in assimilating into the community, as well as the lack of educational opportunities available to their children.